Yes, it's that time of year when my day job takes over my life and I practically live at the Sydney Exhibition Center while we set up our event. 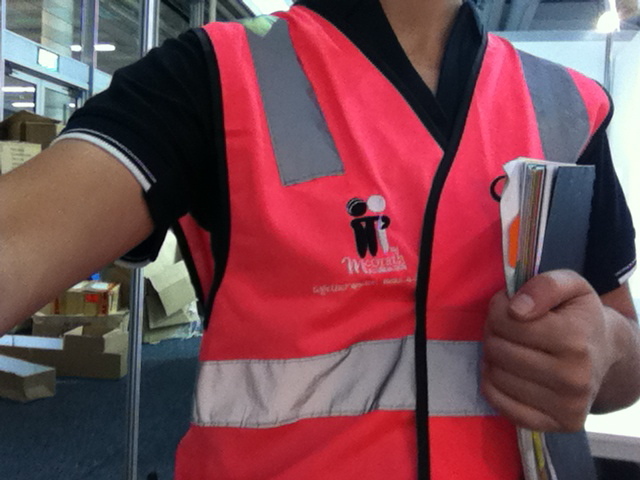 For the past few days I've been working crazy hours, wearing a ridiculous fluro safety vest and dodging forklifts left and right. On the plus side, it means that J and I get a hotel room in the city with pretty cool views so we're making the most of it - back soon! Now this is when I get really gealous!!!! LOL!!! i love staying in hotels close to home.